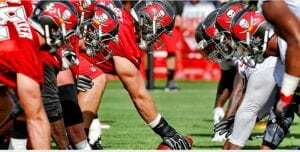 The Tampa Bay Buccaneers will hold six open practices that fans can attend during the team’s 2018 training camp. The players have been out on the field since Thursday, and fans will get the first chance to see the team in person on Sunday. All practices will be held at One Buccaneer Place, and for the first time, fans will get an opportunity to join the team indoors in its new indoor practice facility. All practices, with the exception of Aug. 14, will begin at 8:45 a.m. and run until 10:50 a.m. The final session – which begins at 10 a.m. – will take place in the indoor facility. The Aug. 14 session will start an hour later, at 9:45 a.m. Parking and tickets to the training camp sessions are free, but due to limited seating, fans must reserve a ticket at https://www.buccaneers.com/trainingcamp/. Following Sunday’s open practice, fans can catch the Bucs on the field Aug. 4, 7, 11, 14 and 22. Not only will spectators get a look at the 2018 version of the Buccaneers, they will also get to participate in tailgate games and a 50/50 raffle. The Bucs cheerleaders will also be on hand to sign autographs, while concessions and merchandise will be available for purchase. Tampa opens its preseason at Miami on Aug. 9 before traveling to Tennessee on Aug. 18. The team will play its final two preseason games at home, hosting Detroit Aug. 24 before welcoming Jacksonville to Raymond James Stadium on Aug. 30. The Bucs open the regular season at New Orleans on Sept. 9 before hosting the defending Super Bowl Champion Philadelphia Eagles on Sept. 16. 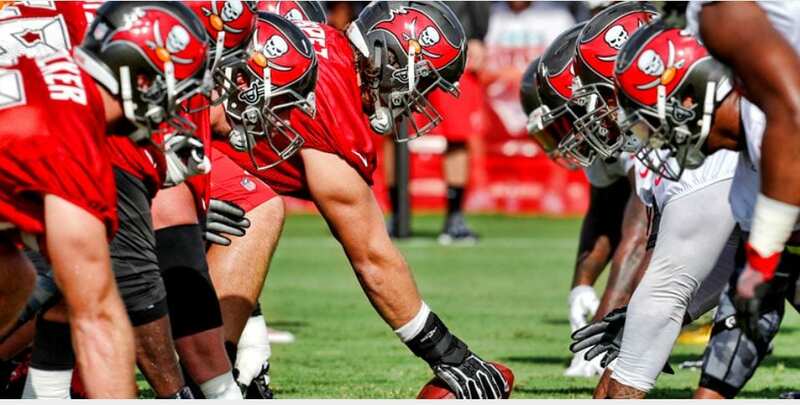 For top photo on July 28th training camp see this photo shoot by the Tampa Bay Buccaneers! For more local sports check out the Tampa Bay Rowdies!